If you are a manager of a Facebook business page you probably received an email notification recently about Facebook updating your layout in the near future of your business page. If you received the email you can make the update now but if not it will automatically updated on or around August 22nd. So what are these updates and why are they important? First and foremost, these updates will only impact Facebook for mobile. The new layout will make it easier for a consumer to interact with a business such as by being able make a reservation with a restaurant or appointment with a salon. The rollout of these changes will begin with restaurants and other local services. It will make updates to other types of pages in the future. When people ask in their feeds for suggestions, they now will also appear on a business page as well. Reviews will have more “meat” to them, as now users must leave at minimum 25 characters when they are reviewing a business page. Users will also be allowed to upload and include photos with their review. The other important update all page admins should be aware of is that Facebook will begin to show “Related pages” on other pages. In other words, Facebook may recommend competing businesses right on your Facebook page. While this trend is showing the new transparency that Facebook is trying to invoke for its users, businesses and their managers need to be much more observant (if they aren’t already) on what is put out on their page. This way they are better informed and can respond more appropriately. 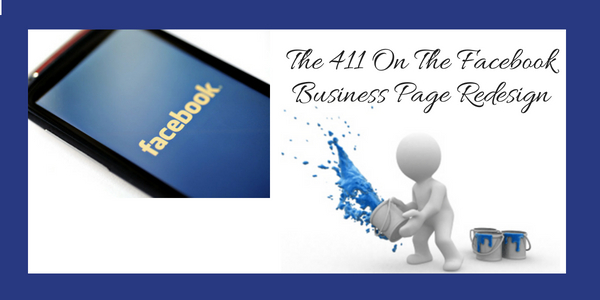 For additional information and tips on how to best optimize your Facebook businesses, including for this new update contact The Interactive Imprint at 954-254-1650 or visit TheInteractiveImprint.com.